Musicians who work professionally with ballet and dance companies sometimes wonder if they haven’t entered a foreign country—a place where the language and customs seem so utterly familiar and so bafflingly strange at the same. To someone without a dance background, phrases and terms--boy’s variation, pas d’action, apothéose—simply don’t fit their standard musical vocabulary. Even a familiar term like adagio means something quite different in the world of dance. Like any working professional, those conductors, composers, rehearsal pianists, instrumentalists and even music librarians working with professional ballet and dance companies must learn what dance professionals talk about when they talk about music. In Ballet Music: A Handbook Matthew Naughtin provides a practical guide for the professional musician who works with ballet companies, whether as a full-time staff member or as an independent contractor. 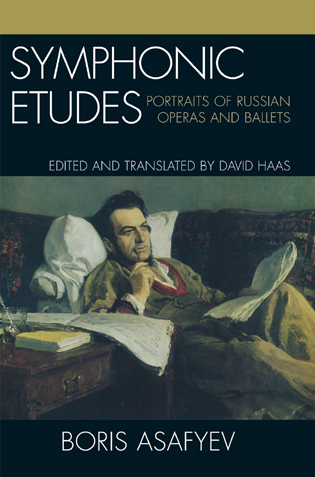 In this comprehensive work, he addresses the daily routine of the modern ballet company, outlines the respective roles of the conductor, company pianist and music librarian and their necessary collaboration with choreographers and ballet masters, and examines the complete process of putting a dance performance on stage, from selection or existing music to commissioning original scores to staging the final production. Because ballet companies routinely revise the great ballets to fit the needs of their staff and stage, audience and orchestra, ballet repertoire is a tangled web for the uninitiated. 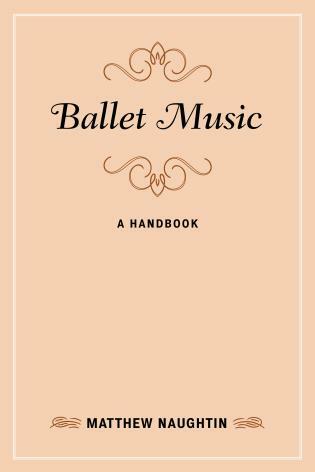 At the core of Ballet Music: A Handbook lies an extensive listing of classic ballets in the standard repertoire, with information on their history, versions, revisions, instrumentation, score publishers and other sources for tracking down both the original music and subsequent musical additions and adaptations. Matthew Naughtin studied violin performance, theory and composition at Northwestern University and was awarded a Bachelor’s Degree in Music Performance in 1970. He has been the Music Librarian of the San Francisco Ballet Orchestra since 1997 and has also served as Music Librarian of the San Francisco Conservatory of Music, the Colorado Music Festival and the Omaha Symphony. He is also a composer whose original compositions and arrangements for orchestra and chamber ensembles have gained wide recognition. 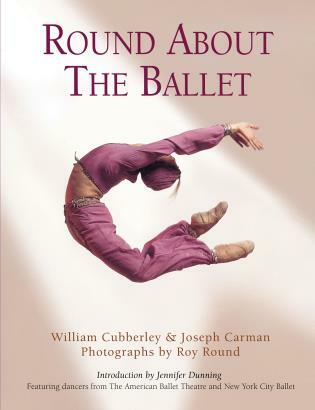 This wonderful resource looks at the world of ballet from the musicians' viewpoint. Naughtin brings readers inside his daily activities as music librarian for the San Francisco Ballet Orchestra. Part 1, 'How Ballet Works,' begins with an articulate, concise history of the development of ballet and then explains the perplexing differences in the terminology that musicians and dancers often use to communicate. Not uncommonly, the music librarian serves as interpreter between the artistic director and the orchestra conductor. The book includes chapters on the roles and duties of other musicians involved in productions, including the rehearsal pianist. Most valuable to many ballet producers may be the very informative chapter on procuring music, 'Licensing, Contracts, and Legal Issues.' Part 2 consists of an extensive list of ballet repertoires and helpful reference resources, including an index. 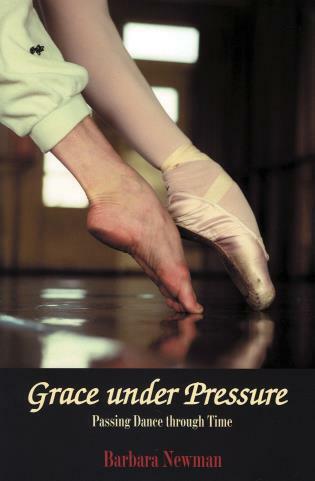 . . .This book is a valuable resource for anyone in the ballet business, especially musicians. Summing Up: Highly recommended. Professionals/practitioners and general readers. A one-of-a-kind compilation of the organization, choreography, and scoring of professional dance, Naughtin’s work supplies the school, college, professional, and public library with an insightful survey. A summary of technical terminology explains both the source of integral terms and their application to movement. Samples of notation exemplify the difficulty of coding steps to fit a musical composition. . . . Naughtin concludes with expert reference sources, appendixes on licensing, and indexing. This will be a valuable addition to the arts shelf. This compilation of standard ballets, music used, orchestral resources, available orchestrations and different editions represents a detailed insider knowledge that is invaluable and fascinating to anyone in the business. While parts of this may pique the general interest of ballet audiences they are signs of an authoritative book. 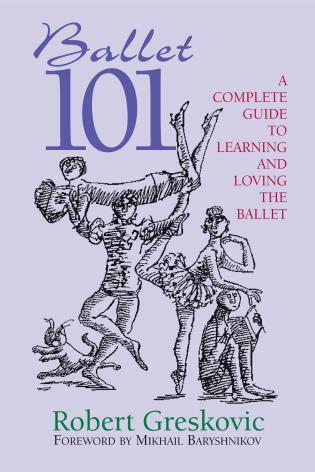 This comprehensive listing of ballet repertoire – well over 100 ballets – occupies over half of the book, but although it is probably the main reason that orchestral librarians will want it on their shelves, it is by no means the book’s sole value. . . . The book is to be commended, but perhaps the best commendation is one from personal experience. Before reviewing this book, our conservatoire library had already purchased a copy for our collection, and one of my colleagues thought to borrow it for their own private perusal. It was not to be: a student found it in the catalogue and immediately demanded its return so that they could use it in connection with their own studies! I can envisage the publication being of use to conductors, accompanists and ballet producers – we train all of these – and can commend it to ballet companies, orchestral librarians and conservatoires alike. Ballet Music: A Handbook is an invaluable resource for conductors, pianists and music librarians as well as any student, scholar or fan of the ballet interested in the complex machinery that works backstage before the curtain goes up.